Has the time come for your family to get into a spacious and versatile new vehicle? 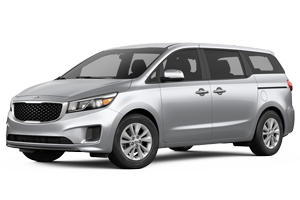 When seating for up to eight passengers and a smooth ride are on your checklist, pass on a full-size SUV and get into the 2018 Kia Sedona minivan. Kia's latest lineup of Sedona minivans are packed with new technology, convenience and safety amenities -- along with the convenience of dual power-sliding rear doors and smart storage solutions. 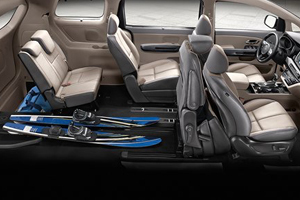 This sleek new minivan makes for the ideal family-hauler and cargo-hauler! Prairieville and Gonzales, LA area drivers and families can discover the 2018 Kia Sedona in Baton Rouge, LA at All Star Kia of Baton Rouge and learn more about this spacious minivan here on our website. 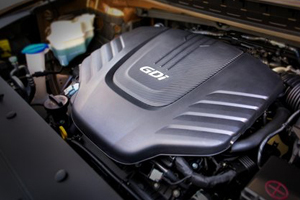 Proppeling the 2018 Kia Sedona and delivering the capability needed to haul up to eight passengers and cargo with confidence is Kia's 3.3-liter V6 engine, which comes standard on every 2018 Sedona minivan. With its 276 hp transmitted through a smooth 6-speed automatic transmission, the new Sedona minivan boasts smooth and effortless shifting in all driving situations -- from merging at highway speeds to driving around town with a fully-loaded cargo area. The Sedona's disc brakes with anti-lock braking system (ABS) are fitted to all four wheels on this minivan, providing ample stopping power and a balance to the Sedona's impressive acceleration. When it comes to the safety of your loved ones, Kia has got you covered in the 2018 Sedona. Kia's latest version of its minivan is designed to keep drivers alert and all passengers safe, thanks to its advanced safety systems. With standard seat-mounted side airbags, full-length side curtain airbags front and rear crumple zones, plus an available Surround View Monitor and Forward Collision Warning System, the 2018 Sedona is ready to protect from every angle! The Surround View Monitor is a big help when backing out of tricky parking situations, as it projects a bird's eye view of the spacious Sedona on the center screen. 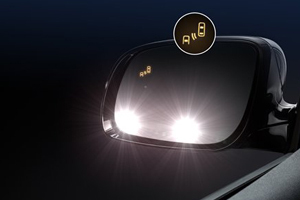 The Sedona's available Forward Collision Warning System can alert you if your minivan is getting too close to traffic ahead, and can help avoid or lessen the extent of a frontal collision. Beginning with the 2018 Sedona L base model, Kia's family minivan comes well-equipped with amenities that every member of the family will appreciate. For instance, each 2018 Sedona gets Slide-N-Stow second-row seating for added cargo and passenger versatility, plus Kia's fuel-efficient 3.3-liter V6 engine ensures you have ample power when you need it. The top-of-the-line 2018 Sedona SXL includes 19-inch chrome alloy wheels, the Surround View Monitor and even heated first- and second-row seats, delivering a luxury and refined ride for your family. All Star Kia of Baton Rouge welcomes Prairieville, LA area drivers and their families to visit our dealership in Baton Rouge, LA to explore the lineup of 2018 Kia Sedona minivans. Before visiting our Kia dealership and auto service center, consider getting pre-qualified for auto financing for your new Kia purchase.